Commercial truck drivers are often prone to drowsiness on the road due to long hours spent hauling products across the state or country. Federal regulations aimed at increasing safety and decreasing driver drowsiness went into effect in July of 2013. Known as hours-of-service rules, this new regulation provides updated guidelines as to when truck drivers may drive and must rest, in Illinois and other parts of the country. Despite these new regulations, instances of accidents caused by driver drowsiness continue to occur. In one such instance in Kentucky, a 56 year-old driver fell asleep at the wheel. He was about 225 miles from reaching his destination when his semi truck crossed both lanes, went over a rumble strip, traveled down an embankment and crashed into a grove of trees. The driver was able to tell the emergency rescue workers that he had fallen asleep at the wheel before he died just 20 minutes later. 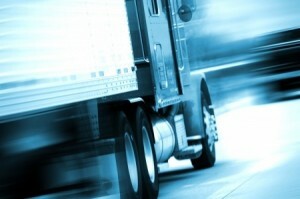 As with any business, trucking companies are in the business of hauling goods to make money. By meeting deadlines, they are more likely to get top dollar for each load delivered. At times, pressure to get a load delivered quickly may cause employers to encourage truck drivers to overlook safety regulations in order to meet a deadline. This means that instead of stopping after their allotted amount of time on the road is up, drivers will push on, raising their risk of getting into an accident. Recognize – Recognizing the signs of drowsiness is imperative to preventing it. Employees of semi truck drivers may see marked benefits when they work to train drivers on how to recognize these signs. Prevention – Once drivers are able to recognize the fact that their level of fatigue may be unsafe, they must know how to prevent it. Frequent stops, brief naps in a well lit parking lot, and occasional intake of caffeine may help drivers make it safely to their destination. Programs – Employers that value the safety of their drivers often work to establish safety programs that encourage drivers to recognize and prevent fatigued driving. Alert – New technology aimed at alerting drivers to their drowsiness may also help to prevent accidents. Such items may include steering wheels that vibrate, audible and visual alarms and facial recognition programs that monitor levels of drowsiness. Each step the trucking industry is able to make to prevent drowsy driving is a step that will lead to increased safety levels on the nation’s roads and highways. Improved legislation is an important first step to improving safety. However, truck drivers must pay attention to their own levels of drowsiness as well.